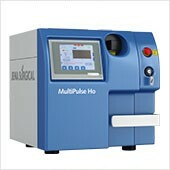 MultiPulse PRO is the CO₂ laser surgery system used for ENT Microsurgery, General Surgery and Colposcopic Gynecological Surgery. • HiScan Surgical, that allows to choose the most suitable scanning setting for microsurgical procedures. The scanner features ESLA technology (Electronic Scanned Laser Ablation) for complete control of the density, type and scanning speed, ablation depth and coagulation percentage when cutting. MultiPulse PRO supports the surgeon daily and contributes to the success of surgery, with significant positive effects on the post-operative recovery time and the patient’s quality of life. The system enables surgery with intuitive technology that is remotely manageable directly from the EasySpot micromanipulator’s joystick, without having to look away from the operating field. 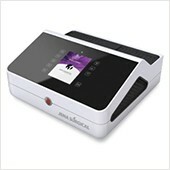 A practical and intuitive Touchscreen simplifies the setting of the correct parameters based on required applications. 25 protocols dedicated to ENT Microsurgery and Gynecology guide the surgeon in their daily work. This system is not for sale in the USA. 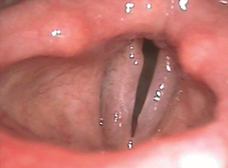 (A) Polypoidcorditis. 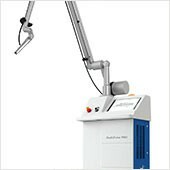 Treatment with CO₂ laser. (B) 6 months follow-up.